Visa, the world's largest credit card network, is paying $2m (£1m) to promote its small business service on popular social networking site Facebook. The company is giving $100 (£51) advertising credits to the first 20,000 US business start-ups that download its service via Facebook. Visa's online service is designed to help small firms run their businesses more efficiently. The company aims to tap into Facebook's global audience of 80 million people. About 80,000 small businesses already have profiles on Facebook and thousands of Internet programmes have been developed specifically for the social networking site. But the majority of these applications are based on social activities, such as gaming, listening to music and picture-sharing, rather than commerce. 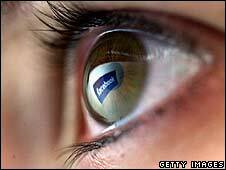 The problem for Facebook, and its advertisers, is that few programmes generate any revenue. Visa and Facebook say they think small companies that receive the advertising credits will then use the social networking site to market their services and products online in the future. "That's certainly what we are hoping for," said Dan Rose, vice-president of product development at Facebook.